Unfortunately, there’s a lot of guys in Hawaii who call themselves roofers but don’t even have a proper license. Everyone’s got a buddy or a cousin who’s a roofer, who only works for cash on the weekends. The problem with hiring these types of guys is you may have no legal recourse when your roof leaks and you have leaks or other expensive damages to your home. Many roofing companies are NOT COMPLIANT with OSHA regulations. Often their roofers are often not even tied-in to the roof when working in dangerous conditions. This is why they work for cash on the weekends because OSHA government inspectors don’t typically work weekends. What most people don’t know is that if someone falls off your roof and is injured, disabled (or even killed) and the contractor doesn’t have up to date Workman’s Compensation and Liability insurance, YOU COULD BE PERSONALLY LIABLE. 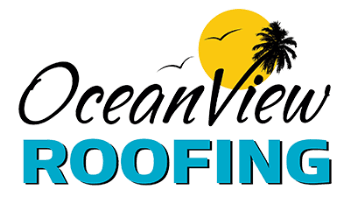 Make sure to check the OSHA records and General Insurance of the company that installs your roof BEFORE they start working! Keep a copy for your files. Check with the Workers Compensation Board to make sure that they don’t just list one employee. This is very important because there are several contractors in Hawaii who pay their workers cash and don’t claim them on WCB. 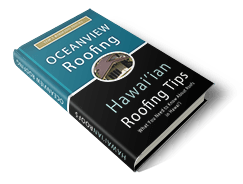 Here’s the problem with these Hawaii Roofing contractors: They are fraudulently avoiding paying taxes and they are incurring a huge liability. If they are caught, they could be put in jail for fraud. There are multiple contractors in Hawaii who have a bad record with the BBB or have been sued and shut down their company, then started another company with a similar name. If they are changing their name, it should be a red flag that requires more investigation.